Collected Interiors– rooms that look like they evolved over time are probably what most of us are striving for. And for me, I’ve found that they’re not that easy to pull off. Remember how I’m always harping on needing a plan when designing a room? But, the very essence of collecting over time insinuates a certain amount of improvisation and so how does one reconcile collecting over time while also having a plan. Still… it can be done because I’ve seen beautifully collected looking rooms all of the time. But maybe they only LOOK like they evolved. That’s a possibility too. One of my favorite homes that has exquisitely collected rooms belongs to Maura Endres who you can see more of her home here. Last January, when I was 30,000 feet up in the air, on my way to KBIS, I received a real Dear Laurel note from a reader named Elise. And here is what Elise wrote me about her home with collected interiors. I love the look of white walls…in photos and magazines; so fresh and soothing. But when I tried to go white in my home, I hate the look. It looks unfinished, cold and generic. I love collected interiors and have a mix of antiques and painted pieces, slipcovered furniture, colorful pillows and fine artwork, so there is no lack of color. Is it just me and am I doing something wrong? Well, that got my attention, so I asked her to send me some photos and with the lights off so that I could see the colors. I have been a little frustrated by the beautiful homes I see on Instagram and on blogs such as yours. Just don’t feel I can successfully pull this off in my home, even though I’ve seen many traditional, collected interiors similar to mine with white interiors. I’m not sure if I’m the only person who is struggling with this. The farmhouse white trend, which doesn’t fit my personal style, has made me feel dated and out of touch with the rest of the world. All of the public rooms and hallways are painted a light beige that leans slightly to green (oh, the horror)! Color swatch attached (it’s kind of accurate). This is a very dark house in general. Small rooms and narrow hallways. I have been lightening the color over the years, but most rooms are Porter Paints Newport Beige as you can see from the photos. However, I could not bring myself to go any lighter or to go to an actual gray tone – even a warm gray. An off-white tried in one room just looked dirty. The paleness made my house feel more cluttered, if that’s possible. b) tell me to love my house the way it is. I’ve lived in this house for nearly 14 years. All the trim is bright white – color unknown. Stating the obvious, but I have a LOT of stuff. Each time I have the house painted, it’s >$6k, so making a mistake with color is disastrous for my wallet. Before I begin, I want to say that over-all, Elise’s home IS very lovely. It has nine-foot ceilings and BIG windows. Yes, the rooms are small and there are a couple of other architectural details that I’m not sure why were done the way they are, but over-all, it’s a beautiful home. Let’s take a look at Elise’s Collected Interiors to see if we can figure out why she’s struggling. But first, this part is super important. I am sure that others will have ideas as well, but please be respectful of other people’s tastes and ideas. 99% of you are always darling and add so much! This is for the one percent who go too far. See? Very nice, on the whole. But, still, while very close, there are some things I’d love to tweak. Most of them are pretty easy fixes. However, I realize that some of them might be too costly. Let’s jump in and discuss the architectural problems. The French doors with the transom is divine, but across from it lives a window that goes down to the floor, with no transom. It does not have to have a transom, but then it should be up at least 18″ or so from the floor. I have not seen this done before. It makes me wonder if the window was once a door? My other issue is the cabinet on this side of the kitchen with the pass-through. Pass-throughs are great if there’s a reason to pass through. Since there’s no dining table on the other side, it makes no sense. Plus the white isn’t working for me. It looks like someone turned the kitchen around. And yet, I can see a bit of a kitchen cabinet and it’s oak. Quite frankly, I’d rip it out as the door is also too close to it and replace it with a wall on the family room side. Then, a small console table might be able to go there with a beautiful mirror, possibly. I would prefer a different coffee table. Something lighter, perhaps or with more style. There is also a pretty round glass and brass table below in the widget. In any case, and I hope this doesn’t sound like whining, but the elements on the table should be placed at right angles to the table, not on an angle. No worries, I see that a lot, along with two paintings hanging catty corner to each other instead of side by side. For more ideas about table styling please check out my two favorites. I do love the tray on the table! The wing chair is not cohabitating nicely with the leather club chair. In this case, I would find another home for the wing chair as it seems a little tall and fussy for this room. And then I would move the sofa over a little and have two matching end tables and two matching beautiful lamps. While I think some people get carried away with too many pairs, in this space, I feel that there are too many singles. It’s not bad, but I’m thinking that with all of the dark elements that a DARKER more saturated wall color would be wonderful. Maybe a beautiful grassy-green Like Benjamin Moore’s lovely Herb Garden one of the Laurel Home Essential Collection paint colors. This will help marry the darker elements, so they don’t feel so heavy. But then, we need more white to balance out the notes of dark, medium and light. Right now, we have windows that are too low and then a decorative element that is calling attention to the fact that they are too low, so I’d remove that. In addition, while I love the bamboo shades, they are dragging the windows down even further. But I have a solution and I think it will help the room over-all. We can keep the woven wood shades and I would add a drapery. It could be a panel and a half for fullness with a tailored valance, something like the one below. Elise could do a floral, but I think I would prefer a solid with a contrast ribbon trim maybe in a dark green or black. Remember when we worked on this family room? Well, I would do something like that only like the window treatment in this post. It’s the white linen drapes with the green trim between the twin beds, by Sarah Bartholomew. And I would do the valance about 18″ +/- tall and put it up as high as it will go as long as it is covering the bottom of the window casing. (please make sure it is covering the window casing when sitting down, not just standing up!) It will make the window seem like it goes up to where it should go. If Elise does this, I recommend doing black-out lining. That is because during the day, if light is going through the drapes, but not the valance, because the valance is in front of a wall, not a window, it will look funny. Aside from that, I would not use the two very small lamps. I would move the apothecary lamp to the leather chair. If we do sconces flanking the bookcase, I think that we won’t need another lamp by the fireplace. I would replace at least one of the metal tables with a garden stool. Maybe by the leather chair and we need a pillow there to brighten and lighten the chair. One other thing. I would keep only the center throw on the sofa parallel to the bookcase. If other throws are needed, maybe one on the other sofa or leather chair and then store the rest. I just think it looks a little too much. And I would change most of the pillows with higher-end fabrics. It’s one of my best tricks for making a room look rich. And if possible, I always recommend Down and feather inserts in the pillows. It makes a huge difference in how they look! The inserts should be at least an inch or two larger than the pillow cover so that the pillows look nice and full. Here is everything you always wanted to know about throw pillows plus some great sources! Aside from the white wainscoting looking too white; not much to say here. The dining room actually looks pretty fabulous. But hang on a sec. Above and below is the front entry. Well, duh. But see the slipcover skirt on those chairs? Love that! I would do the same thing on the dining room chairs. It’s funny, but I was going to say that before I noticed these chairs! The slip seats might need to be redone, but it’ll be worth it. I would add a beautiful lumbar pillow for the host chairs. And I would put picture lights over the art work. That adds a little ambient light to the room which is really lovely too. For the entry, I think it would look cool to have a larger sea grass runner under the other runner. One might be able to go in the far room too with the pretty art wall. I love the black door, but am not sure about the architectural pieces. I do like them, but we need sconces. We could keep them, if they are lowered to table height and then I would put beautiful sconces above. And I would probably paint the architectural pieces white. Otherwise, small demi-lune or small chests could go under the sconces. If sconces aren’t possible, then I would still paint the architectural pieces white and use a different candle holder. What about the rest of the wall colors? It’s a little difficult to tell from these images. But from what I can see the color in the dining room is fine. Could Elise do white walls? Yes, but then I think too many other things would need to change and that’s not going to happen. But, I am thinking how fun it would be to do a cool wallpaper in the entry and just going up the stairs. (there’s one from Schumacher in the widget below. It is on the expensive side, but really gorgeous and the colors would look great!) 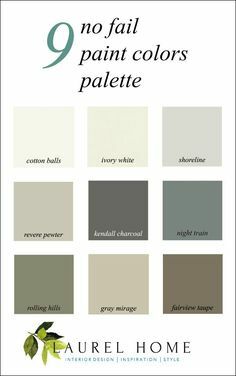 I would add wainscoting with panel moulding on the staircase and maybe a sea grass runner. I think that there needs to be a few more pieces of art here and there, and I would add in a little more color and more black and white, perhaps. You’ll see some ideas for the accessories and art in the widget below. Hope that gave Elise and others some good ideas! And please note that any measurements or recommendations are educated guesses. Please always check and double-check everything! That’s the best piece of advice I can give anyone! PS: Please check out the hot sales – home furnishings and some beautiful clothes. All on sale this weekend. But I spend hours picking through the crap to hi-light my favorites. Many are on sale for a brief time and with the clothes, most of them quickly sell out. I actually gasped when I saw the first picture. I have an almost identical color in most of my house. Lately, it’s been bothering me. I think I want it lighter. What sounds good to me is a natural linen color. In fact, the color of that wallpaper between the floral-curtained windows that you shared in this post is the color that seems really appealing to me lately. Like Elise, I have dark furniture. I know you say dark walls with dark pieces, but I don’t like dark walls. They are depressing to me. I agree with Elise about the cost. My paint is being chipped in places (I have children!) and it’s been 10 years since it was last painted; a new paint job in the future would be helpful to fix the dinged places. Can she do a light linen color? If she could, then I probably could. Love the thought on pillows. It’s about time I made some new ones for my living room and I will be looking carefully at fabrics. I made some last time with a Waverly toile, which I like (and though it says dry-clean only, it’s cotton, so I wash it on delicate and hang it to dry–a must with small children) but lately have considered changing. Mostly my pillows are flat and I need to make some larger ones. Just a note on white walls, since I missed your earlier post: the reason so many people are uncomfortable with them is that we have lived in crummy apartments with white walls we were not allowed to paint. If I still did consults in addition to everything else, I’d be six feet under. No joke. Elise does have a lovely home, and your suggestions would make it even better. I hope she considers the wallpaper for the foyer. And the curtain with valance is a genius way to better proportions for her den, without having to go under the knife. I feel her pain about wanting white walls. Smh, paint is hard. I have the same problem, but opposite in that I have a large great room with hardly any walls except up high. If you feel the need to do another post about the same, but different issues, then I offer up my house as sacrifice. Thank you for sharing a lovely, “real life” home. In the living room, could the sofas be moved to both be at right angles to the fireplace while also facing each other. I’ve seen that in magazines a lot as a way to highlight a fireplace or other feature as a focal point. I don’t know if her pieces are small enough to leave enough of a walkway if set up that way or if you get the same visual impact from that arrangement if the entries to the room are on the sides instead of walking straight on into seeing the fireplace. But if that does work, perhaps she could tuck the wing chair into the corner with what looks to be an air intake grate and pair it with a throw, a teeny table or stool, and the apothecary lamp. The fireplace itself could use a tiny bit of visual lightening/pep. I kind of think Elise could accomplish that by mounting the TV directly to the wall without a stand and hiding as many wires as possible, essentially cleaning up her mantel and creating a small separation between it and the bottom edge of the TV. That may be easier said than done since you can’t always mount things on a wall that covers a chimney. The bookcase and its contents seem to be very special to her, as it feels like she probably selected the piece itself to house her beloved collection of books and objects. Your suggestion of sconces or lighted artwork on either side would really finish out that wall, I think. As for the shelves themselves, light editing might help. In any space created, what about a single-color silk floral arrangement or two? Maybe a coral/soft peach peony or something similarly fluffy in a satin gold or brass or even blue and white chinoiserie container and maybe a fern as well? I always remember your posts that (paraphrasing) say “cover the flower arrangement/plant with your finger and see what a difference not having that pop makes”. The dining room is also lovely, and I agree the skirted chairs would be lovely. The pillows could pull colors from the carpet. I do feel the drapes, combined with the heavy trim (is that a cornice when it bumps out or is it still considered ceiling moulding?). If custom drapes aren’t an option, what about ready makes in either a solid or tonal pattern with a more graphic trim like the wonderful Greek key in a color drawn from the carpet? Flowers or a plant in here too, and something to either generate or reflect light on either side of her china cabinet. I think I’m technically also a millenial, though barely haha. My opinion: give me all of the Persian carpets and china cabinets and actual china and silver and antiques and pretties! Elise thanks for letting us peek. Your house is beautiful. Those ginger jars on dining room table are FAB! and Herb Garden on walls would be so good. Like Tory Burch’s green LR. Also, I love paintings on bookcase. I think yours are getting lost bc they are so tiny vs bookcase so gig. If you find a bigger one – or two – maybe old oil painting at flea market or garage sale (maybe in chippy gilt frame) could look great! The bookcase if fab, it’s bog it’s dramatic – it just needs a little zhush. Quick tip on pass through shelf window – just cleaning it out. then putting lone white bowl or pitcher per window would calm it down. Another editing note: there are A LOT of accessories on the floor – lanterns, topiary, benches – I’d take a few away. It’s leading the eye to the floor. What a useful blog post – thank you Laurel! I primarily design luxury condos and MANY clients are downsizers who don’t really have room for all their treasures in their new space. I walk in and the first thing I see is “too much stuff”. Overwhelming! Softening the wall colours helps a lot, as does grouping like things as much as possible. And although I don’t usually have architectural issues, as you identified in Elise’s home, you have very good suggestions for coherence, with draperies, pillows, sconces instead of lamps etc. My guiding principle is to make the structural foundation of the space (walls and neccessary but less-than-fabulous furniture) recede into supporting roles, to let the truly wonderful things shine. Elise has a beautiful home and I would love to see how she implements your advice. Oh boy, oh boy. Thank you ALL for the kind words and suggestions. I actually blushed when I saw Laurel’s post about my home. It’s rather frightening to put one’s home out there for all to critique (it’s like walking into a room naked), but I respect and value Laurel’s (and her readers’) opinions and hope to walk away with sound ideas and some fresh perspective on my home. FAMILY ROOM: I have struggled with removing the pass-through to the kitchen. I use it as a bar when entertaining and keep glassware and liquor in the upper area. There is a desk on the back side To remove it means repairing or replacing the hardwood floors. These original sand-and-seal floors have no more life left and cannot be refinished again. So, I would have to do a artful patch job or replace all the floors. When we gut and redo the kitchen in the next few year or so, we will address this issue. I have also considered drapes in the family room over and over (and over). The issue here (which you cannot see from the photos) is that the window/door frames actually TOUCH the mantle. To hang drapes would mean reducing the mantle size and/or having drapes that partially cover the glass area of the windows. There is already precious little natural light in that room due to a full-length screened porch. Won’t drapes make that situation even worse? I have also struggled for years to lay out this room. It is long and narrow. There are french doors, a double window, a double door, an opening to the front hall, the pass-through to the kitchen, and little wall space. Seating several people comfortably is a challenge. My family uses this as a TV room and though I HATE televisions over fireplaces, I simply could not come up with a viable alternative. The wall with the love seat is not long enough for a sofa and is off-center to the fireplace. I will certainly look at slipcovering and moving the wing chair to another room, though. It has been in my four homes and could probably use a new life. I see in the photos how disconnected and cluttered the room looks. I find that taking pictures of each room helps me analyze the elements see things with a more critical eye. ENTRY: I have been looking for small demi-lunes to go on either side of the front door for YEARS, literally. No lie. The space is only 25″ and I haven’t found anything petite enough to fit. If anyone comes across something, please let me know! I plan to hardwire sconces on either side of the front door, but it has been a low priority and the black wooden shelves are just filling in until that happens. DINING ROOM: I know a wonderful woman who does all my slipcovers. The dining chairs on on my list! It’s one of my favorite tricks. Relatively cheap, but good fabric on the upholstery and then expensive (and it looks it) fabric for the pillows. You can’t go wrong! One time, though I brought over this gorgeous Verdure tapestry from Nobilis. Just the sound of it sounds expensive, right? Well, this was 20 years ago and the NET price was at least 200 then. I told the client that it would just be for pillows and I would not be doing my usual mark up on it because of the price. I forgot to mention in my earlier comment, that right after I read post this I immediately went over and squared up my coffee table tray to the sides of the table. Well, at least I don’t hang my paintings kitty-corner! I’ve come to the realization that except for kitchens, I try to avoid recessed downlights, if that’s what you’re thinking. Of course, most of us have them somewhere, myself included. But if possible, I try to avoid them. 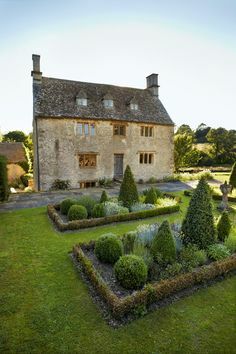 I think this is a very lovely home. It’s interesting to me that the greenish tint in the paint looks wonderful in the dining room where there are blues and greens to draw it out, whereas in the living room it’s almost as if the paint doesn’t know what to be. The light blues & greens in the beautiful draperies you suggested would help it make up its mind! I, too, have a collected home. One thing I have observed is that it goes over better if there are fewer pieces, and they are of high quality. Otherwise one can run into the flea market look quickly. To me, that’s another big difference between the dining and living rooms. As you suggested, some editing and upgrading of a few key pieces are all Elise needs. It will be a knockout! I particularly love the idea of lowering the large architectural sconces and essentially substituting them for demilune tables. If she’s like me, I’d bet that Elise has an attachment to those sconces. What a novel and brilliant new use for them! Loved this post—real-life homes are the best! Really learn a lot from your suggestions and other comments. I agree about photos…they make every little flaw stand out. We are considering a move, so I took pictures of our house to see how they might look on Zillow. Talk about an eye-opener! Somehow, looking at photos of the rooms you live in every day jars your sensibilities and may help you make some improvements you wouldn’t see otherwise. On the other hand, actually living in a space dictates much of the visuals of a room. Can I still open the door if I put a thick rug in front of it? Hubby’s chair HAS to face the TV, so how do I arrange around that? Anyway, looking forward to more posts like this. Thank you, Laurel, and thank you Elise, you brave woman, you! Share your “afters”! Some great ideas. Liking the idea of the sofa switch, possibly as it is a little tight when you come in. Good call. This was a really fun post with lots of great ideas, Laurel. Elise has a great home with beautiful pieces. Laurel – one of your best posts…& great comments! Easy ideas to implement: high end fabric on fewer pillows. Painting out the white pass-thru, changing the hardware – what a difference! The mirrored ‘transom’is a tried and true solution. Also painting the big dark bookcase lighter and ‘airing out’ the shelves – would make the space more design intentional. This is the kind of information & guidance we need, appreciate and can implement at any level. Dear Laurel, As usual I learned so much!! I have been working on our new patio home since we bought it in Oct,’17. I am using a lot of white. I am happy with it but as I read your blog I want to use more color!! Especially Blue. Thank you for all your brilliant advise and your knowledge. Your sarcasm is the bomb!! I agree on the pillows, I have started using the down feather pillows and it makes for a much nicer look, more so than the whatever is in the others, foam?? Oh stop it! Of course, you are worthy! I’ve been doing this a long time is all. Yes, the cheap pillows are usually filled with foam – dacron. The weird yellow stuff usually. There is, however, a down alternative which is also okay to use. I’ve had a client or two who’s highly allergic even with the downproof ticking (insert cover) and fabric in between. I would try a few white paint colors out, if you’re not happy and need to slap on another coat to tweak the color. Here is a link to the posts about white paint colors. This post was so helpful to me because I am pretty sure I have the exact same rug in my living room! I don’t want to replace it, but I feel like it’s “bossy” and dictates everything else. We are building a new home with an open plan, and I struggled to find a warm, timeless neutral and two accent colors that would work with that rug and all the other colorful things that I have, especially because I can’t test the colors in a house that hasn’t been built yet. Your paint color collection was a HUGE help, and saved me hundreds on little sample cans of paint. (My husband thanks you.) I still painted about 20 poster boards, but it would have been way more if you had not helped me to narrow it down. That reminds me that in my permanent shop, (in the menu– Favorite Home Furnishings) I have some pillows but never finished. Oh, there’s always so much to do! Oh. My. God. THANK YOU for doing another post with someone’s real house! So glad that you enjoy these posts. I have more coming. Well, at least one more that I can think of. I think on the whole, your home is beautiful and cosy. I agree the coffee table is not a good fit. I wonder if a mirror pretending to be a transom would be a good choice over the one set of doors to bring balance? It might be the angle, but I think the one corner is too cluttered with table and chair legs and the lamp-maybe a squatter lamp with a less prominent finial or a glass one with a rounder shade, and then a small round bowl instead of two pictures. I know you need the light there. Good catch on the side table styling. I did forget to mention about the photos. I don’t like them on tables unless maybe a couple on a long console table. But, I respectfully disagree regarding the Chinoiserie porcelains on the dining room table. I think that the size is perfect! A question: If you do the window treatment in the family room, would you do it over the window that has a door (the one by the existing built-in cabinet)? Then you would probably have to remove the built-in to have the space (which you had already suggested)? Or would you do a treatment only on one window in the room? Curious because I have a somewhat similar situation with windows floor to almost ceiling on either side of the fireplace, and then a glass door on one side (luckily not part of the existing window, but still not a lot of room for drapes). No worries, but I did mention in the post that if doing drapes the cabinet would need to be ripped out. I would never do a treatment only on one window in a symmetrical arrangement like that. Thanks so much Joanne! I did enjoy working with my clients! But I can’t do this AND the design work too. You are a magician! This post answered so many questions about my collected home! Thank you so much for giving so many helpful recommendations and such great specific advice to get the look! I am bookmarking this post and will refer to it often as almost everything in my home is second hand or donated because someone else didn’t want it and it is so fun finding a spot for my finds! Again, a million thanks for so much great applicable advice! Hi Laurel. I am drooling over this beautiful home and honestly don’t think Elise needs to change a thing. It sounds like her psyche is ready for a few updates, so that is fine, but I hope she isn’t redecorating just because Joanna Gaines is a minimalist. I am in the process of decorating a new apartment and am filling with the beautiful things I have collected over my lifetime. I am weary of my friends telling me that “millennials don’t have china cabinets” and “millennials don’t like Persian carpets”, as if I am opening a boarding house for their children. Even the painters have opinions, telling me “everyone is using Dove White, which is a much better color than Simply White.” (The Simply White is *amazing* in my dark, north facing apartment. Thank you Laurel, for the tip.) So I guess what I am saying is that Elise has a sense of her personal style and knows what makes her happy. She should rejoice in that and make her home her happy place. Along those lines, I’m glad Laurel suggested a rich color for the walls. Elise does not strike me as a beige wall person. Thank Tsippi for the beautiful comment! And I love it when a “millenial” comments (and they do read this blog) and says something like: I HAVE a dining room and love it! As for the painters. When they start in with that is when it’s time to go grab the duct tape and have a go at it! Love all your ideas, Laurel! The pass through looks like it might be “command central” and can’t go away, as that’s where all the business of family life lives? I love the idea of painting it the wall color and making it blend. Or, put a divider up and put antiquated mirror on the back and set it up like a bar? I bet the architect made the window go to the floor to mirror the door flanking the fireplace from the outside…Love the idea of a dark color in this cozy room! What about filling in the back of the pass through cabinet and putting a mirror there…that would add some light in the room. I also like Kathi’s idea of painting it green and using it as a bar! I love your ideas Laurel, they will take these rooms from looking ‘very good’ to fantastic! Also, for anyone that wants white rooms-my favorite ‘colour’ expert (Marie Killam) advises not using white in dark rooms because it only looks ‘dirty’. All the wonderful photos of white rooms on Pinterest have a LOT of light. I think Elise’s home is beautiful. I always try to look at the rooms decide what I would change then read your recommendations. The more I read your blog the more often I change the same things, so you are getting through to me and I am feeling more secure in my choices. My first impression was to change the wing chair, coffee table and pillows remove the extra throws, and slipcover the dinning chairs. I thought I would do bamboo shades on all the doors at the same level with drape panels on each side to make them all appear the same height. It appears she has this window treatment in the dinning room. This was one of my favorite columns of yours, Laurel. I learn so much when you take a home that looks like many of our homes, and helps us take it to the next level. Her home is beautiful, but I could see how all the suggestions would make it even better. Thanks for all the time you spend on these articles. I read every one of them and am going to put in a binder for easy reference. Hello Laurel – I love your blog. Ballard Designs sells some rectangular mirrors that mimic transoms. If Elise put a mirror above each door she could just put a high rod up with the curtain panels. The mirrors would take the place if a valence and would add light and architectural detail. Thanks so much! I think just painting, lighting, the pillows, a little more art will make a big difference. And yes, it’s already a beautiful room. If a stylist came in with a couple of vases, art, lamps and gorgeous flowers, it would make a big difference too. Wonderful home, and a wonderful, easily do able design plan from you, Laurel, and so pertinent for me, and so many others! I love your home, Elise..and I love the paint color that Laurel suggested and went straight to my Laurel’s Essential Paint Collection to have a look.It’s beautiful. 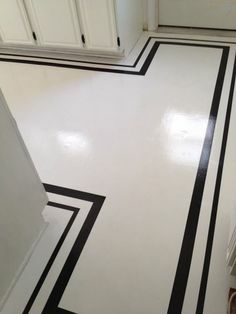 I have been plagued with the same little issue, namely, finding a smashing paint color for a room that is part of an enfilade and so open to two other rooms. Like Elise’s, my room has that collected look, but because I’ve been added for a few more decades, I’ve had the opportunity( or curse, as my husband would chime in) of having more stuff.